When you lose permanent teeth, it’s often important to consider how tooth loss impacts your remaining teeth, as well as your ability to chew and speak. Dental bridges are a common way to fill the gaps and preserve the integrity of your smile. 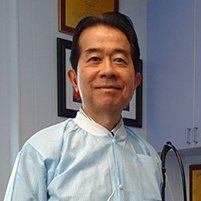 Contact Dr. Cheng H. Tai, DDS, MS, PC, in Midtown Manhattan, New York, by phone or online for a consultation on the best solutions for your tooth loss. What is a dental bridge and how does it replace missing teeth? When you think of a bridge across a river, for example, you might think of a span between two foundations, one on each side of the river. That general construction applies to dental bridges as well. Though there are many variations, the most common application uses two permanent teeth as the foundation, called abutment teeth, which receive crowns connected to the span of the bridge, called pontics in dental terms. Dr. Tai uses the iTero® dental scanner to create a digital visualization of your teeth, then sends these images to the lab for the bridge to be made. Bridges can be made from many materials, but porcelain is often chosen for its ability to match your natural teeth in appearance. Porcelain is stain-resistant and long-lasting, also bonuses for use in dental bridges. How can I benefit from a dental bridge? When a natural tooth is lost, surrounding teeth lose an important support partner, keeping them in optimum position. Over time, permanent teeth may drift due to loss of this support. This may redistribute the force created when you bite, causing uneven wear or unusual strain on your remaining teeth. If you’ve lost more than one tooth, the shape of your face may change as your muscles and skin collapse into the gap. Your ability to chew or speak may also be compromised due to the way your face moves. Bridges can counter each of these issues by using pontics to perform the functions of lost teeth. If you’ve lost a tooth that’s part of your visible smile, a dental bridge can return the look of a full set of healthy teeth. How is a dental bridge made and fitted? Your first appointment usually prepares the abutment teeth. These are recontoured to receive the crowns necessary to support the pontics. Impressions are then made for the dental lab. Instead of cumbersome dental trays and molds, Dr. Tai uses the iTero® dental scanner to create 3D digital images of your teeth that are more precise, not to mention more comfortable, than traditional dental impressions. The data from the scans are sent to the lab where your custom bridge is constructed. Dr. Tai typically fits you with a temporary bridge during the wait for your permanent bridge. When that arrives, the temporary bridge comes out and the custom bridge is tested for fit, then cemented in place.